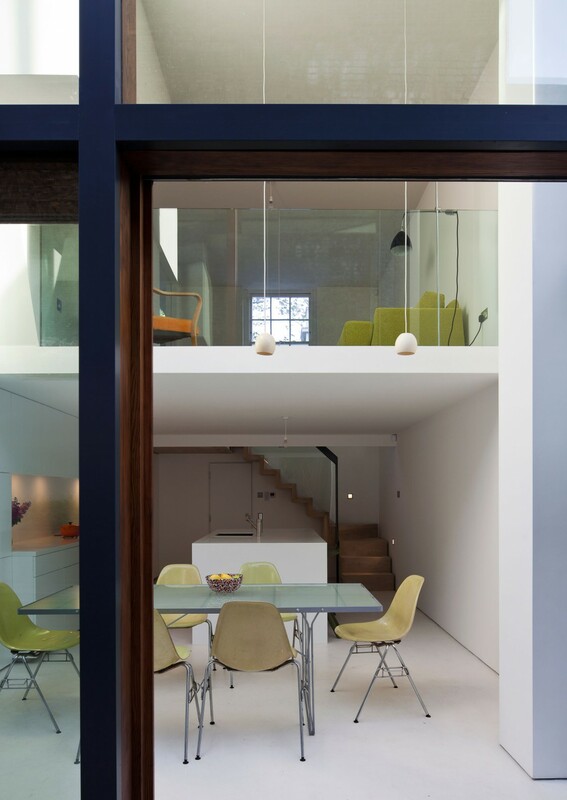 An extension of only one metre in depth has transformed this house. Like many 19th century terraced houses, the Hoxton House had a multitude of small rooms, arranged vertically. A tiny kitchen sat underground in the semi basement, with a head height of only 2m. The rear courtyard was accessed from the half landing of a cramped servants’ staircase down to the kitchen. Whilst staying modest in scale, we wanted to give the house a grander architectural order and new connectivity. The clients are a young couple and they wanted a place for eating, cooking and chatting. They felt the new room should be connected to the garden. By taking away fabric as well as adding it, we have been able to carve out a set of new rooms. 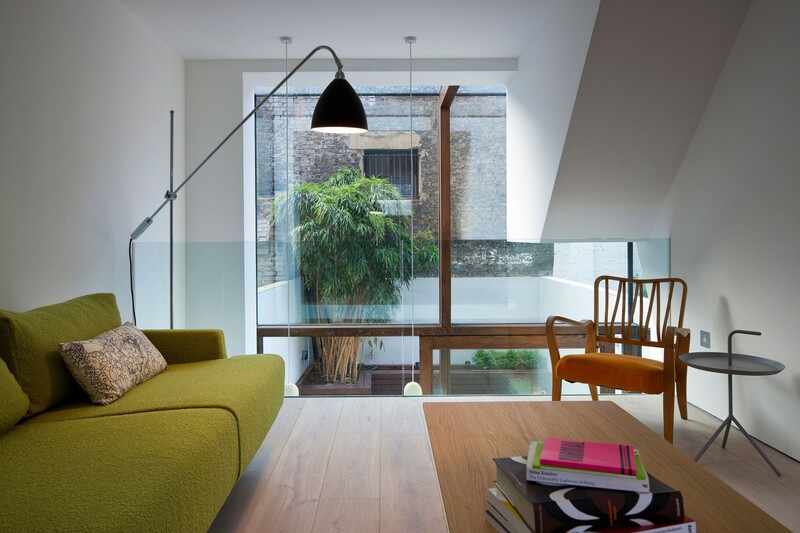 The extension to the rear is modest so as not to encroach too much on the rear garden, or to affect the neighbours. 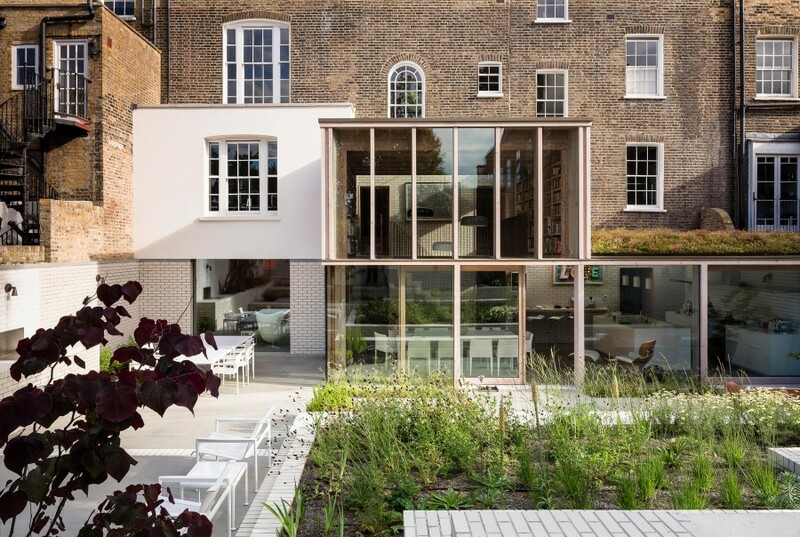 Even so, in such a small property this single move has revealed a new potential for how the house and its courtyard garden are experienced. We also removed part of the upper ground floor in two places; firstly to give access for a new stair at the front of the house, and secondly at the rear to give height to the basement. 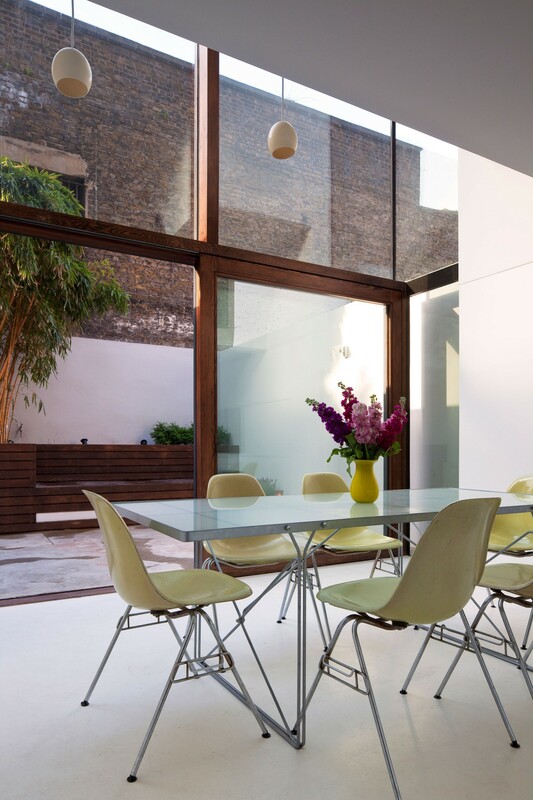 This now provides a generous double height dining area and kitchen that connects directly to the garden. 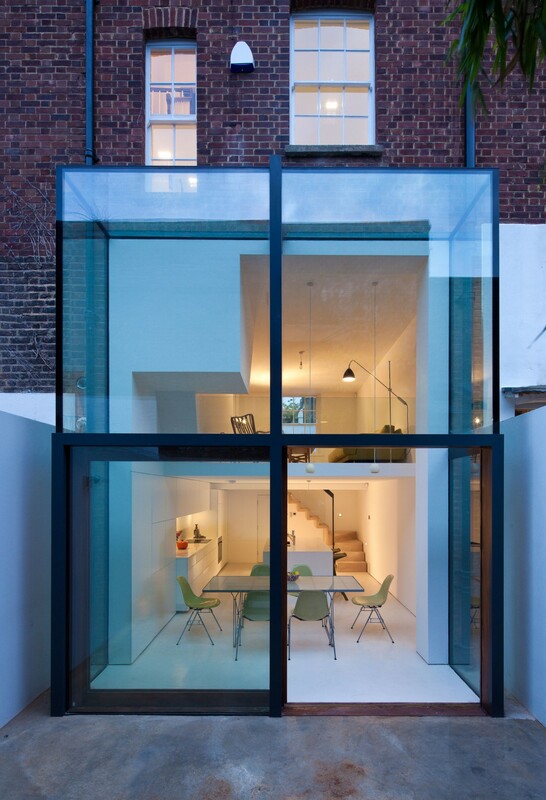 A two-storey cruciform façade is engineered from timber (Douglas fir) and structurally bonded double-glazing. 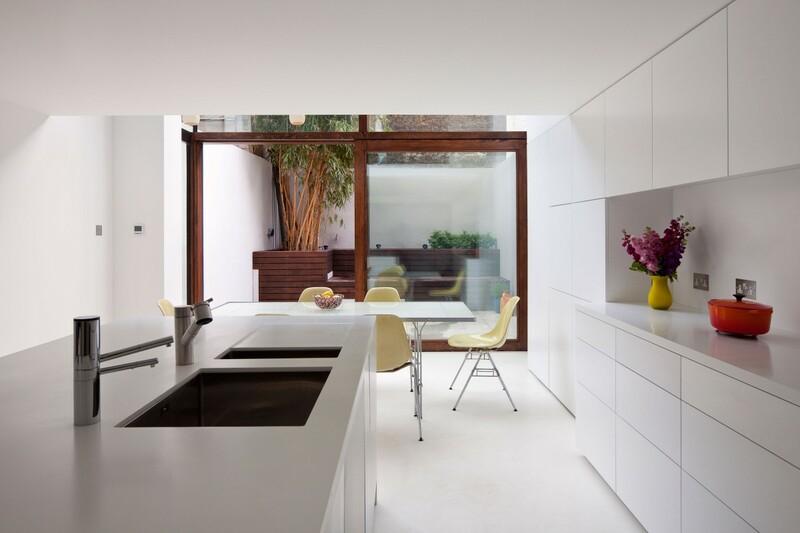 A white kitchen and concrete floor are offset with natural materials and warm brick hues in the small courtyard, which was also refashioned by the architects. Clip from ‘The RIBA’s Best Buildings of 2011’ – The Culture Show, aired on BBC Two Sunday 2 Oct 2011. 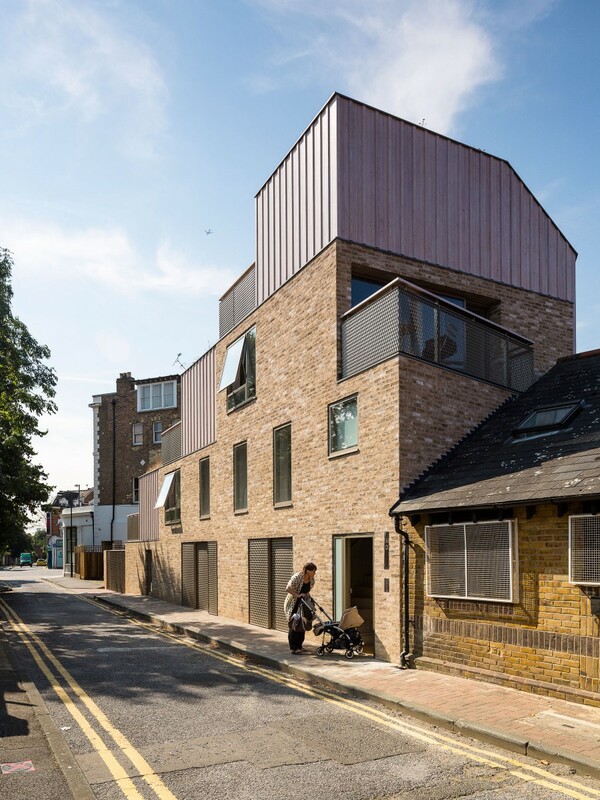 Hoxton House featured as part of the Stephen Lawrence Prize shortlist.